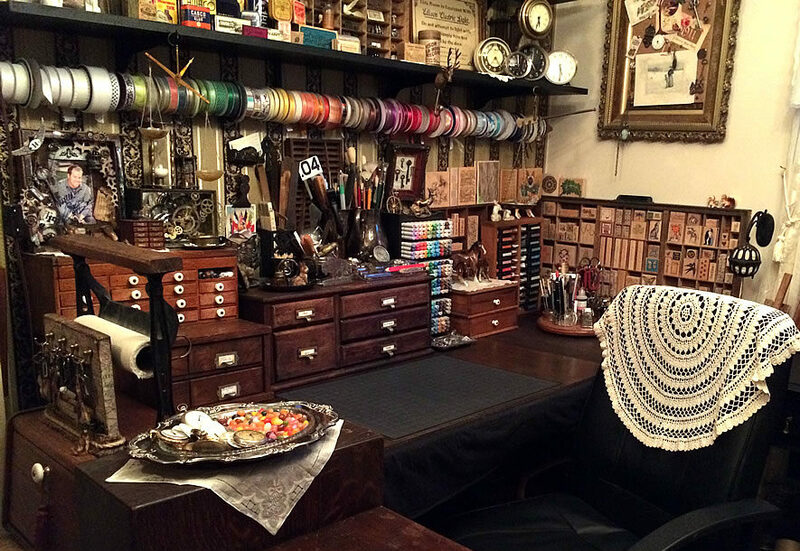 Welcome to my Victorian Studio – where I make my realistic polymer clay charms (as well as a multitude of other artistic ventures). I’ve enjoyed some kind of art / craft my entire life, passed on from my parents. I call my craft space my “Victorian” Studio as another thing my parents gave me was an appreciation and knowledge of my ancestors; traced back to 1555 in England and Ireland. 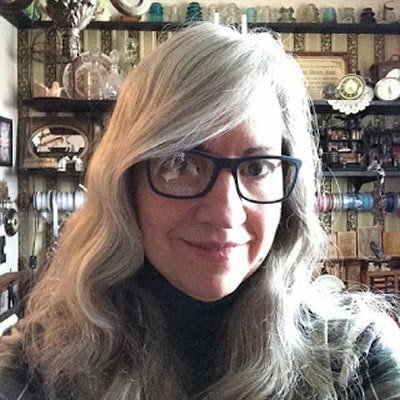 When it came time to set up my art studio, I naturally was attracted to Victorian style antiques and 1800’s primitives. So it’s among these that I love to create; warm wooden cabinets, tarnished silver, lace doilies and tattered books. I began seriously knitting in 2015 and since I love to sculpt, started making my own stitch markers and progress keepers in late 2016. When I was asked by fellow knitters if they could buy some, I decided it was time to open my own shop. What I’ve come to discover since that time, is that my charms can be used for far more than knitting or crocheting – besides making whimsical progress keepers and stitch markers, they make awesome zipper pulls, jewelry, ornaments and more. They also make wonderful personalized gifts for family and friends or as a special treat just for yourself. I hope you enjoy your miniature polymer clay charms – they are hand-sculpted and hand-painted to make each and every one a unique piece of original art. I’ve always dreamed of creating art as my full time job. Now it’s finally coming true this summer. After 40 years of sitting behind a desk at a local hospital (which, as a teen I vowed I would NEVER to do), I am finally at a point in my life when I can retire and create art for a living. I can’t wait to stay at home in my Studio and make this venture my new daily passion.